Andrea Sisco is co-founder/owner of the popular book review site, Armchair Interviews. She's joining us to today to talk about her debut mystery novel, A Deadly Habit, to be released on July 17th by Five Star. Visit her website at AndreaSisco.com. To read my review of A Deadly Habit, click HERE. Thanks for this interview, Andrea. Tell us, when did you decide you wanted to become an author? I didn't decide. It just happened. Really, it just happened. I had an idea. I sat down and wrote it and when I wrote The End I said to myself, "You wrote a book! Now try and get an agent and sell it smarty pants." By that time I was determined. I was 60 (a very young 60) years old and my bucket list cried out for author to be written on it. Did I tell you how excited I am? It's just bubbling over. Your mystery novel, A Deadly Habit, features a feisty, stubborn, and quite endearing protagonist. What was your inspiration for her? Did you plan in advance all the parts of the plot or did she lead you along the way? I wouldn't be surprised! I did everything wrong. I had no idea how to write a book. I had the basic plot. I sat down at the computer. I wrote. The result was A Deadly Habit (my husband titled the book). The characters led me every step of the way and let me tell you it was an uncomfortable position to be in. I don't like to lose control of things! I tried many times to just slap them down, but they were like stubborn children and wouldn't mind. By the end of the book I thought I would like to take my own gun and just shoot Penelope. She can be a bit aggravating. The process was painful and I won't do it like that again. The next book is plotted! Some of your secondary characters, like the nun and the priest, add a lot of humor to your novel. How did you come up with the idea for these characters? I grew up a protestant and all my cousins were Roman Catholic. I was entranced with the ritual, the pomp and circumstance of the faith. I used to dress up in bed sheets and pretend I was a nun. And let me tell you, I was a drama queen. It seemed like a great deal of fun to have an elderly priest and a young nun trying to keep the impetuous Penelope on the straight and narrow (Yeah, that would be a Kodak moment). So a little idea became Father Daniel and Sister Germaine. Will this be a series? If so, when will the second one be published? It began as a stand alone book and grew into a series. I didn't sign on for another book, but it is happening as we speak. I had to write it because Penelope was hounding me, not to mention the three emails from my editor. Tell us about your writing habits while working on this novel? Did you write every day? Were you disciplined? My writing habits were despicable! I don't want to talk about how I wrote this novel as it is embarrassing. But I will tell you because I think other authors feel awful about how they write. They feel guilty about their process. And they shouldn't feel guilty. They read those interviews where the author says: "Oh, I'm disciplined. I write six days a week, five pages daily…" Or "I write every day for four hours." Or the big lie, "I'm at my desk for five hours every day, even if I can't think of anything to write. I just sit there." Well doesn't that one make you want to slit your wrists? Hey I've got a husband, children, grandchildren, a puppy and friends, two homes, not to mention the wash, ironing (yes I still iron) and bills to pay. I don't have time to punish myself if I'm experiencing writers block. I'm a woman with things to do. I write or I don't write. But what I don't do is gaze out the window (I'd just look at weeds that needed plucking or think about taking Sophie for a walk). But what I did do was write erratically. I'd write every day, all day for three weeks and then nothing for two. It's difficult to do everything I do and then run Armchair Interviews and write a book. I should be three women. What I need is a wife. Oh, did I say that as busy as I am, we're discussing another puppy? Crazy woman that I am. Yes, Sophie and I need a companion and we're thinking about a certain Yorkie. A little boy that needs us. My husband Bob has veto power and we're waiting to see what he thinks. But I digress. See how it goes? Its tough to have a writing schedule when you've developed adult onset ADD. What was the hardest part of writing this novel? The easiest? The most difficult part was actually writing A Deadly Habit. It's tough to be funny and I'm not sure I accomplished it. I'm waiting for some reviews to tell me if I was successful. I have an interesting view of the world. I see it like a movie and I provide the running commentary. I'm not sure others will think my view is humorous. The easiest thing was writing The End. In other words, when writing a novel, nothing is easy. Oh, it was easy to tell everyone "I sold my book!" How do you divide your time between maintaining a popular book review site like Armchair Interviews, which has about 100 reviewers, and writing? I don't do a very good job at all. I'm leaving my Minnesota home early this fall (mid October) and locking myself away in my Arizona home (I'm not telling anyone I've arrived) and writing. I have to. If I allow myself any leeway at all, I'll be off and running in another direction. I'll start a new quilt, take the puppies (notice the plural—I am like Tinker Bell—I believe!) for a walk, I'll call my grandchildren or read a book. Note to self: You should cook something occasionally. Your husband would certainly appreciate the effort. That effort may help the puppy situation also. And finally: If you long to write a book, do it! If I can write and sell a book at age 60, anyone out there with the desire can do it! Go for your dreams. Life can sometimes be a real downer and daring to follow through with a dream is better than those little bitty pills I've heard so much about. Thanks for the great interview, Andrea, and good luck with your new novel! A Deadly Habit is an unusual mystery as far as mysteries go. It is laugh-out-loud funny and features a feisty, willful heroine that will both test your patience and steal your heart. Penelope Santuci — known to friends as Pen — is a probation officer. When her big shot laywer ex-husband is murdered, she becomes the first suspect. She would wait for the police to solve the mystery – if only they had brains! Refusing to put her fate on the officers’ hands, she decides to take charge and prove her innocence herself. Of course, she has a handsome lawyer (she bullied him into taking her case, but what else is new? ), but he wants to do things by the book and unfortunately, that’s not Pen’s style. However, Pen accepts when she needs help, so she recruits — against their will — a nun and a priest to help her. This leads to all types of funny situations. Will Pen find the true murderer and prove her innocence before she completely corrupts them, drives her lawyer crazy, and gets herself killed? A Deadly Habit is one of the most humorous novels I’ve read in a long time – more so because it is a mystery. The protagonist’s distinct, strong voice combines street smarts, naivete and stubborness and will easily find its way into readers’ hearts. The story moves at a quick pace and is full of twists and turns. The dialogue is one of the best aspects of the novel, sharp and witty. This is the first book in the Penelope Santuci mystery series and Andrea Sisco’s debut novel. I already look forward to the next book. This is one of those series that makes you wonder what the protagonist will be up to next. For those of you who don’t know it, the author, Andrea Sisco, is the co-founder/owner of the popular review site, Armchair Interviews. 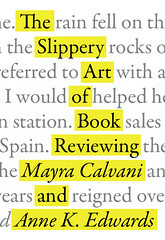 I had the chance of interviewing Andrea last year on the subject of book reviewing. You may read the interview here on Blogcritics. “As most of us were popping pimples pimples and starting puberty, the versatile Jean Koning (or perhaps better known as his musical alter-ego ‘!JP’) was launching project after project to avant garde aficionados. At the age we were struggling to get our drivers license he was a resident at clubs. While the rest of us were chasing girls, laboring to get through school, or trying to sneak into clubs Jean was already inside of them, busy becoming one of the most original artists in the world. Seems impressive, but I guess when you’re studying masters of the trade like Andy Warhol and Arthur Rimbaud while the rest of the kids are studying math and science those kind of things aren’t too big of a deal. From these not so humble beginnings Jean has carved himself a spot in the world of Underground Music that stretches from the Dutch Landscpaes to South East Asia. He has taken steps into music, spoken word, photography, poetry, theatre and film, working with a wide variety of amazing artists while showing off his own formidable talents as well. With the help of his personal side-kick, the multi-instrumentalist Van Weely, he created almost legendary performances; his own conceptual punk-n-roll shows. Jean has made a name for himself that should be on the lips of art lovers the world over. Now he is a published author as well. His latest novel was published in 2008 (in Dutch only). His novel “Visions”, which contains stories and columns written in 2006, is now reissued. Visions is a collection of columns written for the e-zine, The Noise. A surprisingly intimate portrait on life and every day politics, accomplished with a fierce manner of writing. Inspired by his own research for the musical album ‘Notes from Purgatory’, Jean Koning digs deep into the well of his personal life and blends the stories he found there with his experiences and visions of the American Way of Life, to portray a whirlwind of emotion, anger and doubt. Dipped deep in a cocktail of absurdity and melancholy, the swift stories are built upon the eagerness to achieve a deeper understanding in trends, hypes and the corrupt world of commercial art. The stories’ subjects change as swiftly as the Dutch climate. From Amsterdam hookers to New York art openings and the ongoing war in Iraq. From the duality toward American lifestyles and Hollywood productions to Barbie and Ken in a setting of ironic perversity. From a heartfelt letter full of tips for Hillary Clinton to a remarkable talk show with Oprah Winfrey. Visions is a humoristic approach of the life we lead today, with a huge comment made on worldwide politics. This is our planet today, with America as the prime suspect, Europe as the jury and Koning himself as the brutal judge. Surprisingly enough, Koning doesn’t point a finger of blame at anyone without pointing that finger at himself first. My special guest today is talented Sandra Rodriguez Barron, author of the award-winning, The Heiress of Water. Sandra was kind enough to take time out of her busy schedule to answer my questions. Welcome, Sandra! Your novel, The Heiress of Water, won the 2007 Best First Book Award at The International Latino Book Awards and has been a top book club selection and a Publisher’s Weekly ‘Top Pick’. Did you foresee such success when you started writing the novel? Yes and no. I had to make huge sacrifices to enable my writing and study of writing, and so I hoped, from the very beginning, that success would come quickly. On the other hand, I know that distinguishing yourself in anyway as a writer is difficult and highly unlikely. So when I got these awards I was amazed and grateful, but I also felt relieved and validated. Tell us a little about what made you decide to write this story. What was your inspiration for it? First, personal rebellion: I find that Latin American culture can be shallow and inflexible in its expectations of girls and women. There is the emphasis on physical beauty, social status, marriage and family, but rarely on intellect, creativity, individuality and legacy. The mother figure in my novel (Alma Borrero Winters) isn’t remotely interested in any of these standard feminine values that her family demands that she embrace. Her intelligence is unappreciated and her passion for the science is treated as rebellion. The tragedy of the story is rooted in the moment when this character compromises her values and marries someone who is socially acceptable to her parents, thus allowing herself to be trapped in life that is contrary to the path suggested by her instincts. The consequences are devastating to the entire family, especially her daughter, Monica. I wanted to point out that there is a danger in making women fit into a cultural mold that doesn’t embrace their natural talents and intelligence. Second, I wanted to present a balanced argument to the reader in regard to Latin America’s class struggles by using the example of El Salvador’s civil war. I worked very hard to “walk the line” and to leave it up to the reader. I announced that I would become a writer at age seven. It’s amazing to me how long it took me to return to that early self-knowledge. I believe that most of us identify our life’s passion pretty early on. What happens in between, how we get lost, how we ignore who we are, is another story. How long did it take you to write the novel? Are you a disciplined writer who writes everyday? The Heiress of Water took me about a year and a half, working 5 to 8 hours a day. That was before I was a mom, and so now it’s a lot harder to get more than 5 hours of uninterrupted time to write. Right now I’m deep into a novel, and yes, I write or revise every week day between 9 a.m. and 2:30 p.m. Still, my family life is ever-changing, and I teach writing sporadically. I am forced to be flexible. Yours was a first-time author’s success story. Can you tell us how you searched for an agent/publisher and how long the editing and publishing process took? Mine was a “textbook” scenario. I worked it four ways: One, I bought a copy of The Writer’s Market Guide to Agents. I read it cover to cover, placing sticky notes on the agents that seemed like they could be a match for my book. Two, I made a list of agents from the acknowledgement pages of novels that seemed to be aimed at a similar audience. Three, I asked former professors if I could use their names in my query letters. I began to send the letters out in alphabetical order. The rejections and“almost acceptance” letters began to dribble in. Then the fourth method was the winner: I discovered a web newsletter, “Latinidad”, aimed at Latino writers (published by the phenomenally helpful and wise Marcela Landres). There were several publishers and agents listed as “seeking Latino writers.” I wrote to one of them, and that became my agent, Julie Castiglia of Castiglia Literary Agency. 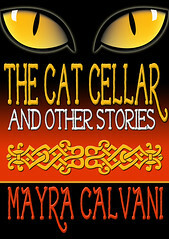 A novel due out in June of 2010. The working title is The Islanders but that could change. It’s about five siblings who were once abandoned as babies on a motor boat off the coast of post-hurricane ravaged Puerto Rico in 1979. Now thirty, one of them has an illness that is causing him to remember bits of their lost, pre-adoptive childhood. Despite fierce opposition from his siblings, he launches a search for his biological origins. For him, the search is a source of hope and healing; and a final chance to win back the love of the woman he once hurt. For his siblings, remembering is a far darker journey; one that will threaten their carefully-constructed sense of family and shatter what they believe about who they are and how they ended up on that boat. I have a confession. “Chemical Cowboys” is not exactly the book I set out to write when I began reporting it four years ago. At the time, I was focused on telling the adventures of a maverick New York DEA agent named Robert Gagne, who was obsessed with capturing an Israeli Ecstasy kingpin named Oded “the Fat Man” Tuito. In the late ‘90s, according to DEA, the Tuito organization was responsible for 80 percent of the entire Ecstasy supply in the United States. Agent Gagne risked his career and his marriage trying to catch a guy he’d never even met, who had escaped justice in four countries and was living a luxurious life in France. I had spent years digging through case files and court documents. I had traveled across the country and through wide swaths of Europe to interview subjects and follow in the footsteps of the agents and the traffickers. I had mapped out the structure of the book and I knew exactly how it would end. But then, when I was three months shy of a first-draft deadline, the head of intelligence for Israeli National Police (INP) told me a fascinating story about a brutal Tel Aviv mob boss who INP had been following for years and could never pin any charges on—until they discovered he was financing Ecstasy deals in the U.S. Like Chicago mob boss Al Capone, who went down for tax evasion, Ze’ev “the Wolf” Rosenstein was nabbed for peddling the so-called love drug. My book was supposed to end with the denouement of the Tuito era. But the truth was: the Ecstasy era didn’t end with Tuito, it ended with Rosenstein. When Israel’s No. 1 mob boss went down for Ecstasy, the Israeli organized crime networks that had dominated the trade for more than a decade essentially threw in the towel. It also meant that 12 weeks before deadline, I had to rethink the entire structure of my book. I didn’t want to do it! But the Rosenstein case was such an important part of the bigger picture that it would seem a glaring omission to those on the inside, who had personally worked on these investigations. Furthermore, to tell it right, I would have to take readers to Israel and show them an underworld that most Americans—myself included—knew nothing about. Thankfully, Israeli National Police agreed to guide me through that world, with field trips to sites of gang warfare and interviews with top cops who continue to fight the mob bosses. I was on a plane to Tel Aviv in a few short weeks. Each day of my research trip brought fascinating new information and I rewrote parts of the book in a hotel room in Jerusalem. I tell of this experience because I think that as writers we have to constantly resist the urge to take the path of least resistance. Lazy research begets lazy writing, and astute readers sense when a writer failed to do his or her homework. It was extremely challenging to switch gears so late in the game, but I’m certain that the time I spent getting to know the personalities and the inside culture of both Israeli police and the gangs they targeted only lent “Chemical Cowboys” greater depth and authenticity. In his book, “Follow the Story,” Pulitzer Prize–winning journalist James B. Stewart tells reporters: trust your curiosity and investigate those small details that initially drew you to a story. What compels you will also compel the reader. His advice resonates with me when I reflect upon my experiences reporting “Chemical Cowboys.” I think its good advice for fiction writers, too. The commitment you make to learn as much as you can about the world you’re writing about—and to follow up on curious details—will only draw readers that much further into your book. About the author: Journalist Lisa Sweetingham spent four years following in the footsteps of DEA agents and Ecstasy traffickers to bring CHEMICAL COWBOYS to life. Previously, she covered high-profile murder trials and Supreme Court nomination hearings for Court TV online. Sweetingham is a graduate of the Columbia University School of Journalism and her writing has appeared in The New York Times, The Los Angeles Times, Parade, Spin, Time Out New York, Health Affairs, and many other publications. She resides in Los Angeles. CHEMICAL COWBOYS is her first book. I live in the Endless Mountains of Pennsylvania with my husband, five horses, two dogs and five white cats. My favorite hobby is trail riding. My horse, Ambrosa de la Pluma is a registered Paso Fino. The breed came to the new world from Spain. Paso Finos have a unique four beat gait that is very smooth. They can go for hours on the trail. They are smart and friendly and make wonderful companions. My husband and I try to ride at least four times a week. We feel so luck to live in an area with lots of space for riding. Summer’s Story takes place in the fast paced world of harness racing. For fourteen years, my husband and I had a small Standardbred breeding farm in New Jersey. We raised and raced these marvelous horses. Harness racing is very exciting. There are many heart warming stories about an owner or trainer believing in their horse and against the odds getting the horse to win a big race. This is what happens in Summer’s Story. There are also people who take advantage of both horses and people for personal gain, not caring the least about how the horse is affected. I believed these elements would make a good novel. I hope people agree. Summer Langston is my favorite character. She’s a very determined lady who cares about her horse, Meadow, and overcomes severe personal and professional obstacles to get her horse to the winner’s circle. In the process, she learns something about herself and how to give and receive love. I like the fact that she’s gutsy and doesn’t give up easily. Tell us a little about your writing schedule. I try to write everyday for two hours. Obviously this isn’t easy with farm chores and other activities. During Nanowrimo (National Novel Writing Month) I can almost always keep to the schedule because the incentive is to have a novel at the end of the month. I find the first draft fun and relatively easy to do. Editing is the part that gives me trouble. Summer’s Story which will soon be available from Red Rose Publishing, I was extremely lucky in my editor. She made useful comments pointing out where I wasn’t make my characters come across and, of course, how to improve my writing skills. 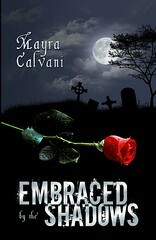 I have a second book under contract to Red Rose Publishing. This novel is a murder mystery, Murder in Montbleu. The setting is a small town in Pennsylvania similar to the one I live in. I’ve become very friendly with the characters in this novel and have two other novels that use the same setting, Lake House and Buttermilk Falls Murder. I’m still in the process of editing them, but hope to find a home for them. What I love most about writing is feeling the characters come alive. When I write a novel, I know where I want to end up, but I let the characters take me there by talking to each other. Their actions move the story forward. It’s such a rush to be able to interact with your characters. They become friends. I actually miss them when I’ve finished the novel. It’s better than reading because you get to know new people in an in-depth way. How do you advertise your books? Since my two book are ebooks, I advertise primarily on the web. Being part of a virtual book tour, like this one, is a good way to tell prospective readers about my book and to let them get to know me. I also have been on blog talk radio. That was great fun. If my book comes out in paper eventually, I will have several opportunities. The library wants to feature me at a local author’s luncheon and the local Barnes and Noble wants to invite me to a local authors day. I have business cards with my book cover and information on where to purchase it. Since the book isn’t available yet, I will be looking to see what avenues work best for sales. What is the best tip you can give someone who wants to write? The best tip I can think of is apply your seat to the chair and write. Courses are great, so are critique groups, but the sad fact is that you have to put in the hours developing your voice and learning to use all the things you’ve discovered in courses. Critique groups are a double edged sword. You can get valuable information, but you have to have enough self-confidence to decide what to accept and what to reject. It is, after all, your work. It has to please you. Thanks for being a guest on my blog, Nancy, and good luck with your book! become a huge hit. 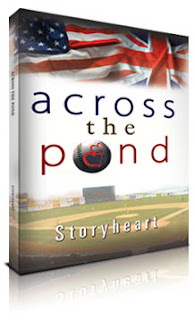 Storyheart has been compared by some as “a modern day Judy Blume,” and “Across the Pond” has been placed in the same category along side books like “Harry Potter” and “Twilight.” Enjoyed by people all over the world, with over a hundred interviews and reviews already received, the book, while intended for the Teen/Young Adult market, has become popular with people of all ages. neighborhood bully, Steve Harris, Brit tells Fred her dark secret. The author, Barry Eva, also known as “Storyheart”, was born in Barnet, Hertfordshire, England. In 2000, he left his beloved country and went to the USA to be with the woman he’d met and fallen in love with on the Internet. With his whit, oratory, and old-fashioned English charm, Barry is a much sort after interviewee on radio and TV. He at present is living in Connecticut, with his wife and two children.